The movie does a good job of showing the progressive transition of what a post-apocalyptic event would look like. Unlike other natural disaster movies like 2012 or Day After Tomorrow, this film doesn't waste a lot of time in depicting the level of urgency and danger. 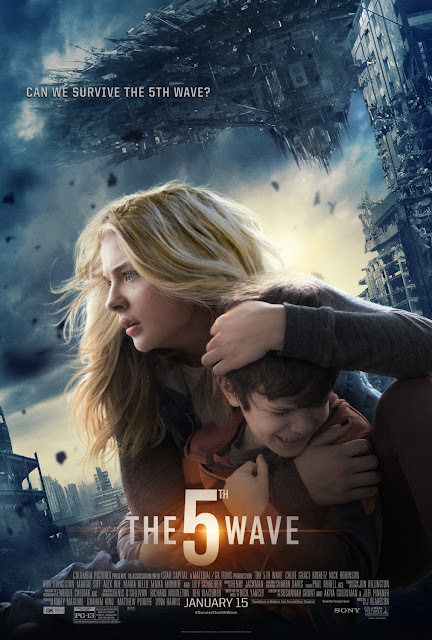 Chloë Grace Moretz does an excellent job of playing the main lead protagonist. She was able to maintain a sense of balance between strength and vulnerability; reminding us that she's still a teenager thrown into a really dangerous situation. This may just be own personal bias, but I didn't care too much for the romantic element involved. At this point, given this genre of movies, it seems like the teenage love triangle is just run its course into the ground. The "romances" just don't see very organic or they come off as forced. Unfortunately the trailer does give away a minor spoiler with one of the character's identity. It may have been slightly predictable but if you pay attention to the trailer it makes it robs the surprise even more. The movie tried to be mysterious with certain plot twists, but for the most part it was fairly predictable. This ultimately ended up being a mix of both Divergent and War of the Worlds. The first half of the movie definitely shows a lot of promise, but then it quickly begins to go downhill. Maybe fans of the books would enjoy this, but I think this is a movie that you can either wait to watch at home or pass on entirely. If you liked movies like the Hunger Games or Divergent then this film falls right in the middle of them.There's just very little about it that will leave you with a lasting impression or even wanting to see more if a sequel were come out.